When Soil Vapor Extraction (SVE) technology is selected as the best available remediation methodology, it is important to understand the rate of concentration decay. The 80/20 rule for SVE applications considers that 70%-80% of the hydrocarbon mass trapped in the soil will be extracted within months after starting but concentration will be high loadings of 50%-100% of the Lower Explosive Limit (LEL). The remaining 0%-30% will be the longest operating condition at concentration loadings of less than 25% of the LEL. Understanding this traditional school of thought assists when selecting the most cost-effective oxidation technology. 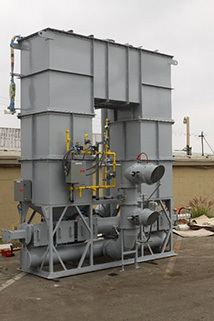 Ship & Shore Environmental will not only manufacture oxidizers for soil vapor extraction (SVE) applications, but can also integrate SVE blowers on the oxidizer skid. Remote-mounted skid systems, fully enclosed packages in cargo containers, or pre-engineered buildings are also available. Depending on design conditions, we can assist with blower technologies including: regenerative, positive displacement, centrifugal fans, rotary claw, liquid ring, and multi-stage blowers. As your engineering consultant, we can assist with the evaluation of appropriate blower selection that will meet performance specifications and other aspects such as noise level and maintenance requirements. 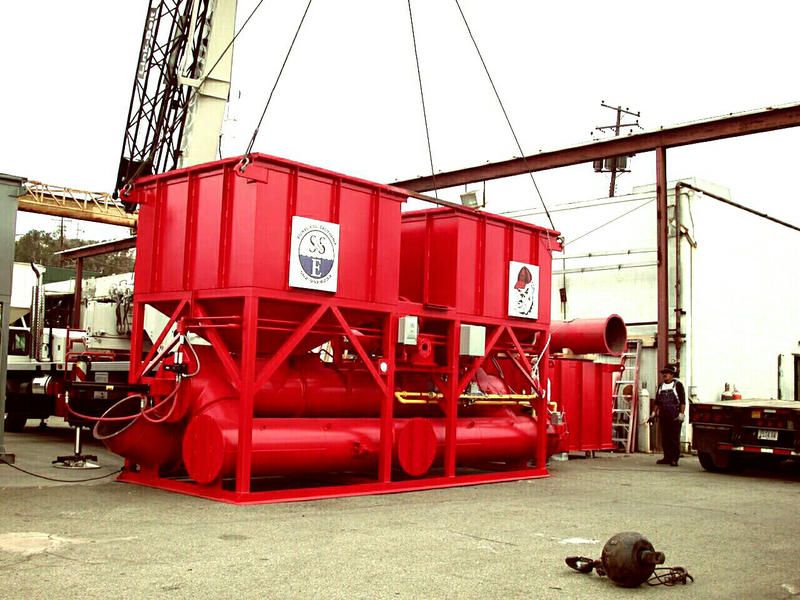 Over the past decade, Ship & Shore has made significant advancements to the proven Regenerative Thermal Oxidizer (RTO) technology. Traditionally, the smallest RTO commercially available would have a minimum flow rate of about 2,500 scfm; however, our proven RTO design allows us to manufacture units rated from 500 scfm to 80,000 scfm. For remediation applications, this is important as the total life cycle costs are reduced. Ship & Shore RTOs can also manage the initial high loading and are flexible enough to automatically manage process air as concentrations drop. 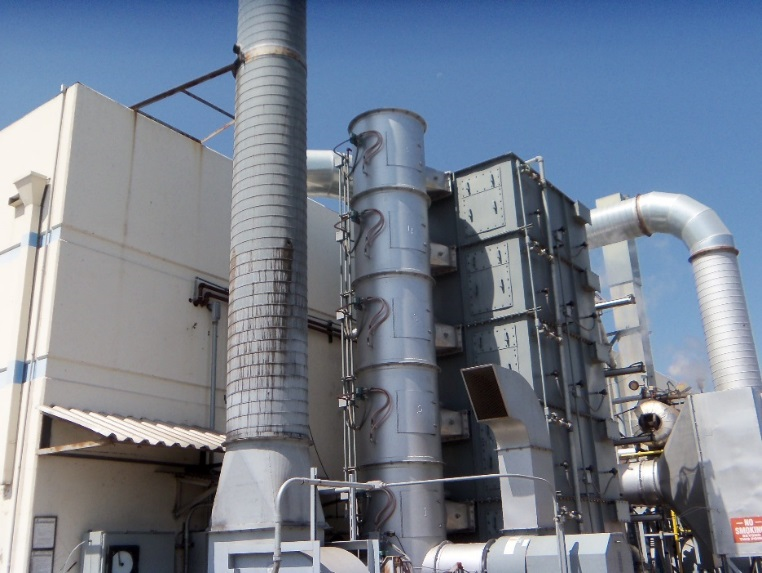 Unlike the traditional thermal oxidizer design, there is no need to modify the controls when changing over to the catalytic mode and costly catalyst replacement after 50,000 hours of use. 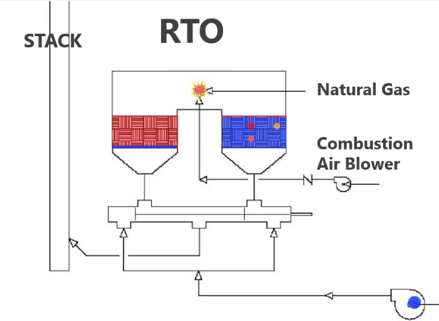 Compared to the catalytic thermal oxidizer, our innovative RTO technology will not need supplemental fuel until you reach 2%-3% of the LEL, thereby dramatically reducing annual fuel costs. 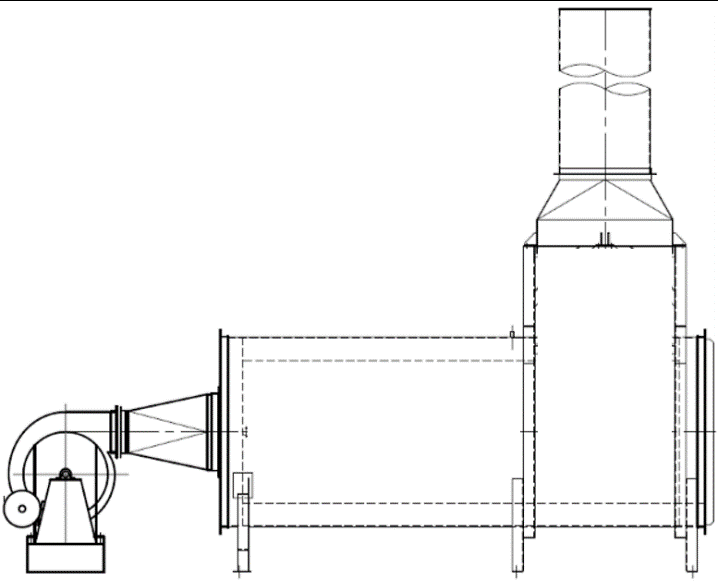 Depending on the specific site requirements we are happy to assist with SVE blower selection and manufacture the system to meet any design conditions, but we will also evaluate and compare overall life cycle costs for any of our oxidizer technologies. Let Ship & Shore help you select the best oxidizer for your Soil Vapor Extraction application.